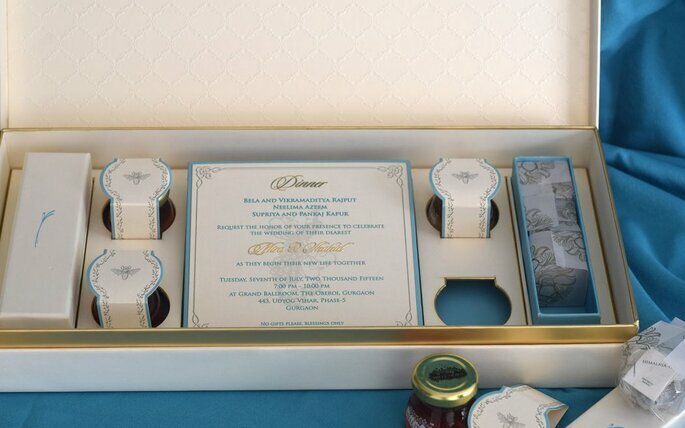 Invitations are the first notice of any important event, and weddings are no exception. When we know that we are going to be invited to a wedding, we’re dying to see the card and style the couple choose. 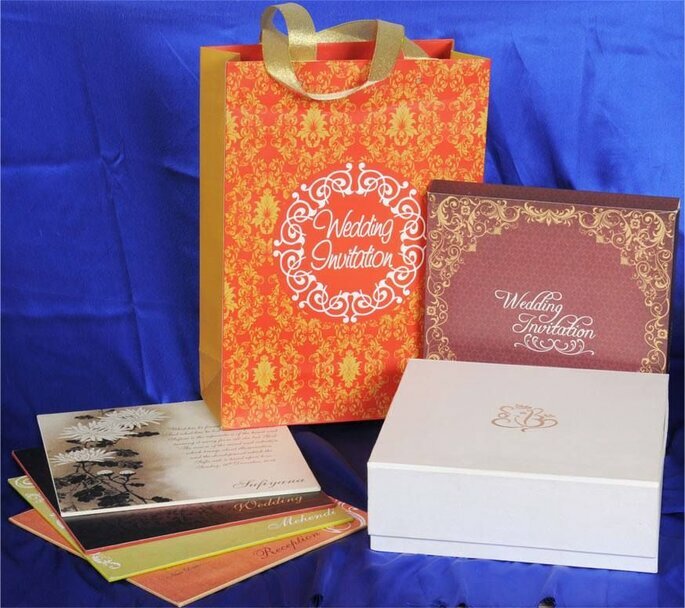 Most of the time, we can predict the style of the occasion based on the invitation. There are always more and more possibilities of delivering original or themed invitations. In this gallery, we present to you some of our favourite invitations. 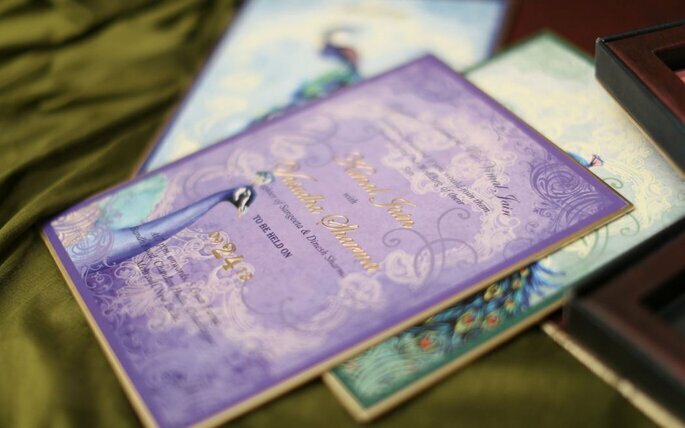 We combine innovative designs and exceptional materials to create for you invitations that are one-of-a-kind. 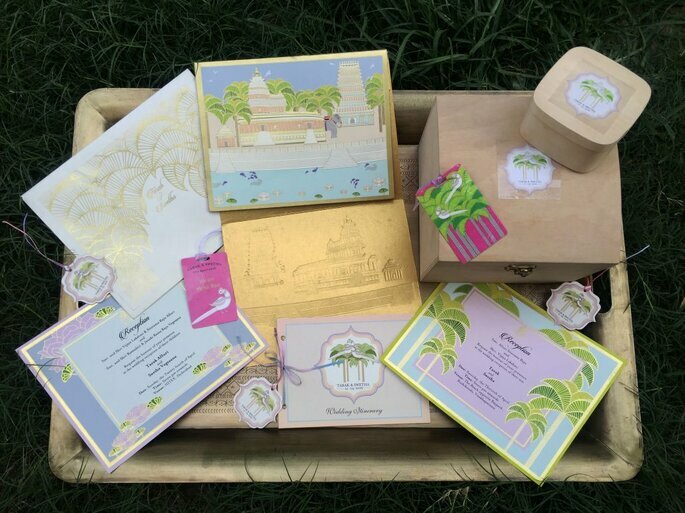 Whether it is your wedding card, gift boxes, your baby birth announcement or personalized stationery, everything is crafted and detailed keeping you in mind. Each product that we design has one universal feature – impeccable quality. The parent company, PS Press Services Pvt Ltd is a 40 year old printing press, that specialises in top quality manufacturing. 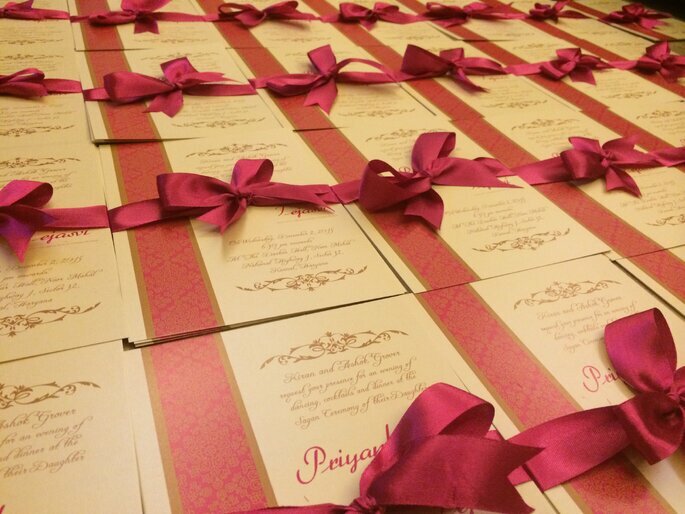 With quality and creativity being hand in hand, sky is the limit for creating absolutely beautiful invitations! 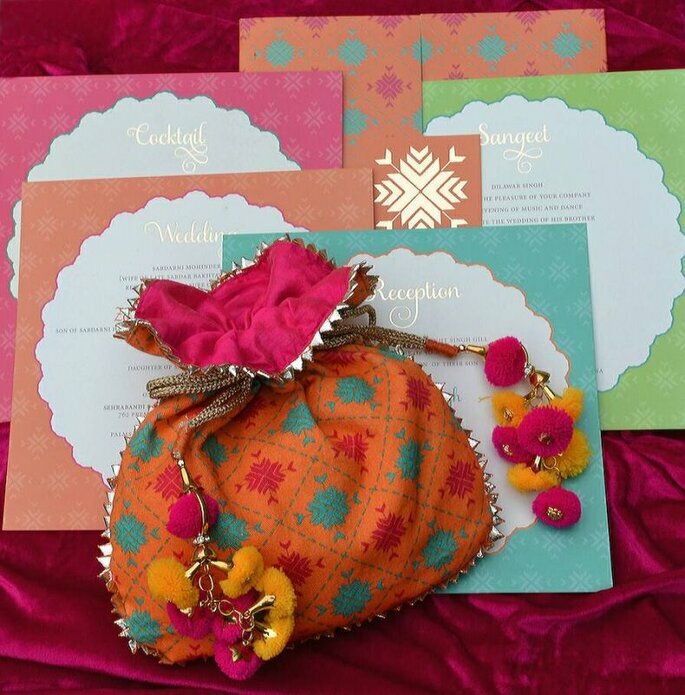 Credit: Neha Singh Bhatia Invitations. “At The Invite Shop, we tell stories of love”. Texture mapping the eternal love stories of the past, each picture is meticulously traced from old paintings, murals and parchments. 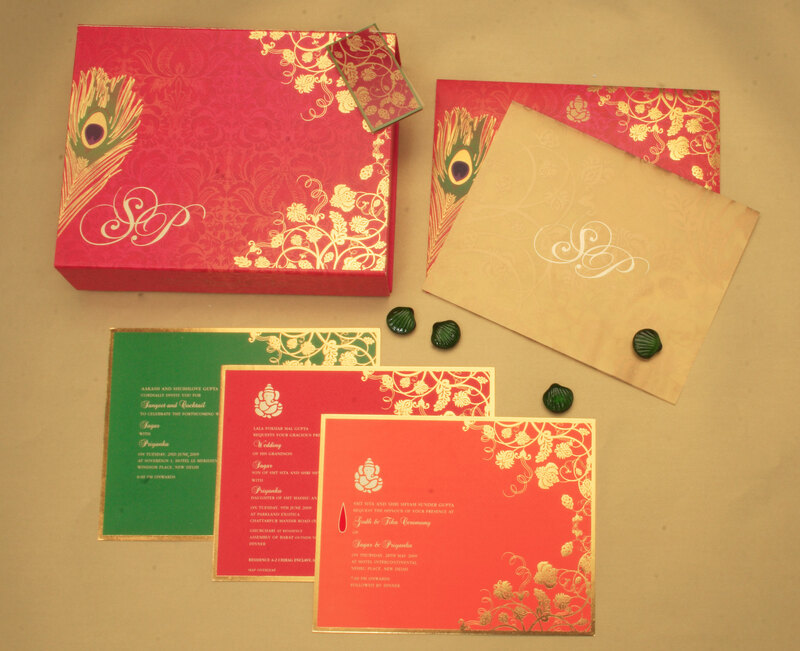 Folklore and patterns rendered in a riot of colours speak volumes of the vibrancy of a grand Indian wedding. 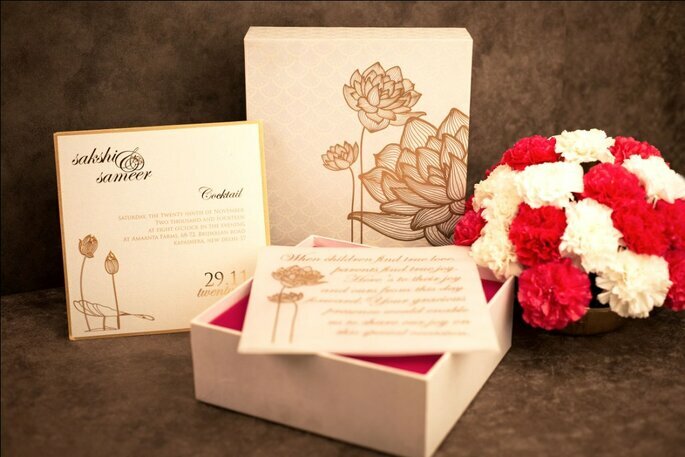 Each card is handcrafted to illustrate the love, solemnity and grandeur of the occasion. Each card we design is tailored to the essence of the individuals and their rituals and ceremonies that are woven into a story to make the occasion extremely distinct. The momentous interaction with a crisp envelope holding within it a beautifully crafted invite; imagine an exquisitely embossed or foiled card or the luxurious feel of a silk scroll that is reminiscent of our glorious past; that is the love, experience and emotion we strive to convey through for our clients. 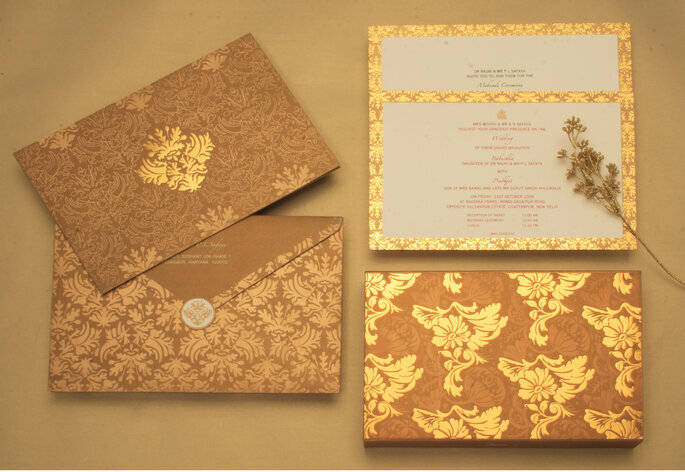 Ravish Kapoor is in New Delhi, India based designer of Invitations. Our clients come from all over the globe knowing that Ravish Kapoor’s name is synonymous with ‘elegance’ and ‘style’. From weddings to anniversaries, baby showers to birthdays, and inaugurations to parties, our innovative-designed, personalised cards can add a touch of warmth and style to any and every occasion. A pioneer in designing out-of-the-box invitations, he has ushered in a new trend of personalised, exquisite invitations that make your guests go WOW! In doing so, Ravish Kapoor has given the perennial invitation card the forever-eluding importance it so well deserves. Ravish Kapoor is a brand that specializes in the conceptualisation of invitation cards and unique branding & packaging design. We design exquisite invitations which add something special to the momentous celebratory occasions that a family shares together. Ravish Kapoor is a brand that specializes in the conceptualisation of invitation cards and unique branding & packaging design. Our ever growing collection of designer wedding cards adds to the momentous celebratory occasions that a family shares together. Credit: Ravish Kapoor Innovative Invitations. We at Ozel Design have been creating beautiful custom invitations, attracting high profile clients and patrons throughout the country. We are a full service custom design company where luxury and extraordinary are the foundation from which we begin. Our team will ensure your first impression will be a lasting one. You will be involved in the design process as much or as little as you like. If you have a clear idea of what you want we will work with you to ensure your vision becomes a reality. If you’re not sure about what you want, we will create a custom piece that is sure to satisfy. With an experience of over 46 years and the most creative workforce, we are here to cater to all your needs related to paper, printing and celebration. So as we prepare together for your special day. 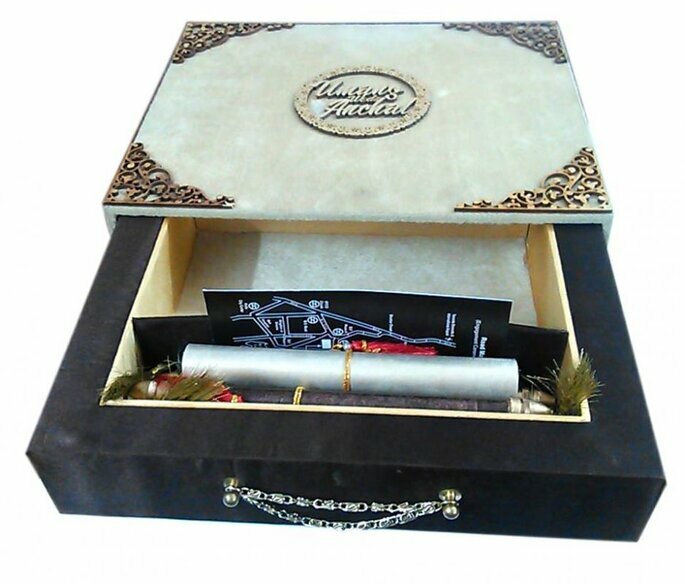 Not only we assure utmost quality but sincere service and customized products for you to feel totally at ease. We specialize in handcrafted cards, eco-friendly handmade papers, stone work, ribbon work and tassels. Credit: Classic Designer Wedding Cards & Stationary. 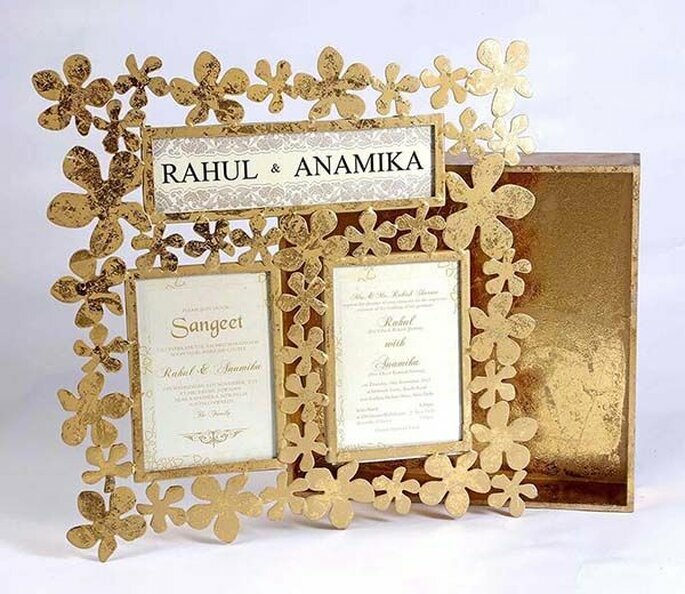 Creative Zone Delhi was established in the year 1996 in New Delhi, India as a prominent organization involved in providing all sorts of wedding cards and creative printing services. We have carved a distinct identity in the industry under the experienced guidance of our mentor, Mr. A. Hannan. Owing to his expertise, vast industry knowledge, and leadership & managerial qualities, we have been able to expand our business. We believe in building cordial relations with our clients, so that we can skillfully fulfill their requirements and specifications. The professionals hold proficiency in offering complete innovative as well as eye catching designs that helps in attaining their trust and confidence of the clients. Our services are well known for optimum clarity, good colour combinations and timely completion. Extra’s is your one stop party planning destination… You can chose from a variety of themes and we customize your invites, banners, birthday stationery cakes etc everything…. We are your one-stop party planning destination!!! 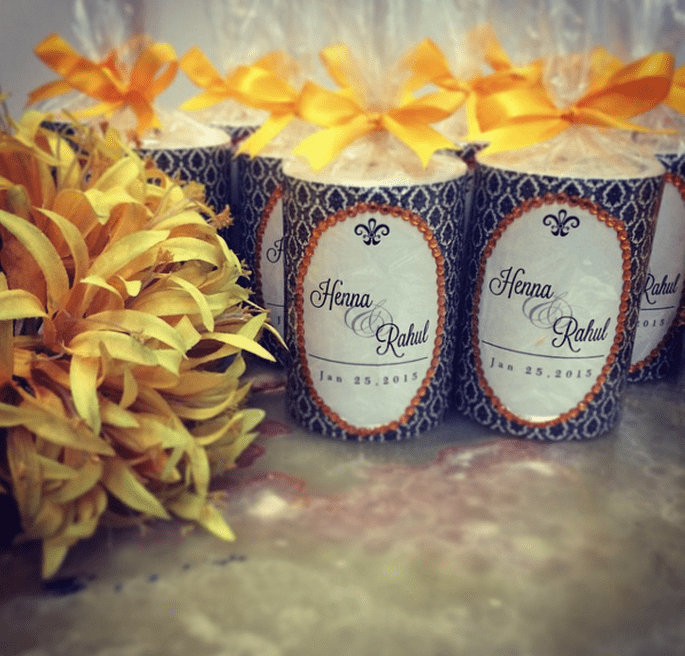 Other than party planning, we even provide gifting solutions. Its your friends birthday or your moms birthday? 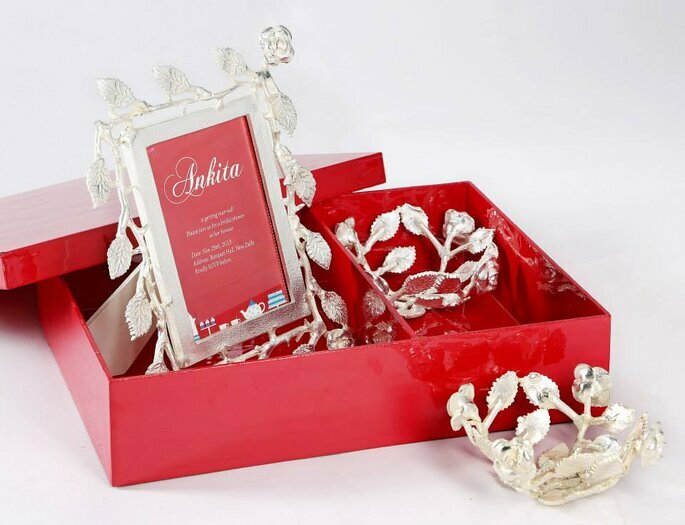 Getting married thinking of creative gifting solution for your fiance or in-laws? 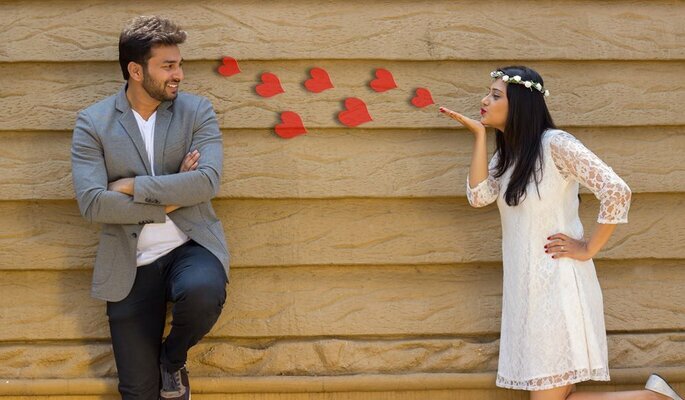 Planning a date or planning a surprise? We provide all types of gifting ideas and solutions. Credit: Extra’s- Invites ‘n’ more. All our designs can be customised to suit your occassion and budget. If you have something in mind, we would be happy to work with you in developing the prefect fit for you. 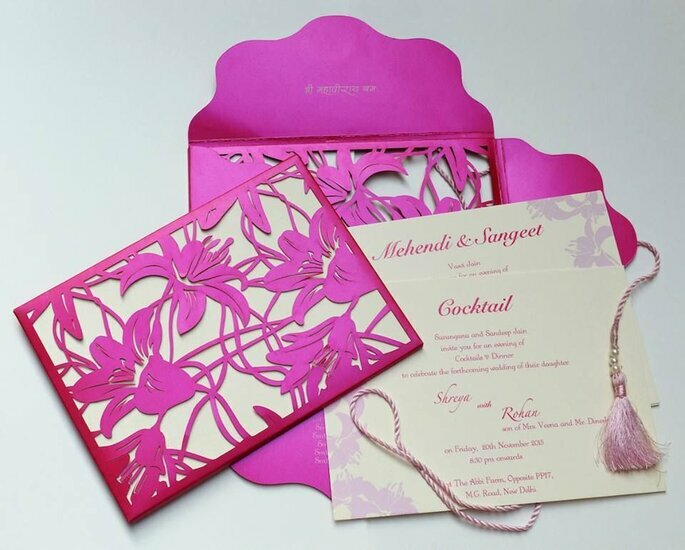 We collaborate with you to customize one of the most important elements of your big occasion – the invitations! The devil is in the details and making sure that each feature comes together to reflect your thoughts and your personality. 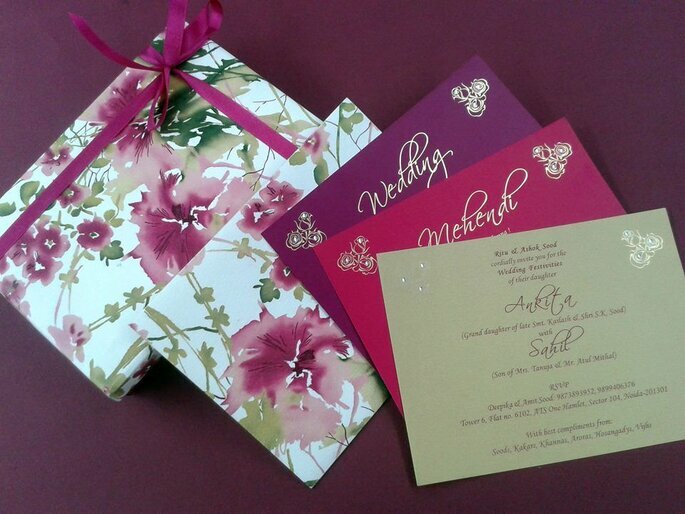 With bespoke themes and accessories, when we are done with your wedding invitations, they will be keepers. So get in touch and let’s get started! With personalized themes, distinctive details and tailored accessories we weave the story you. Credit: Design By Harpriya Singh. 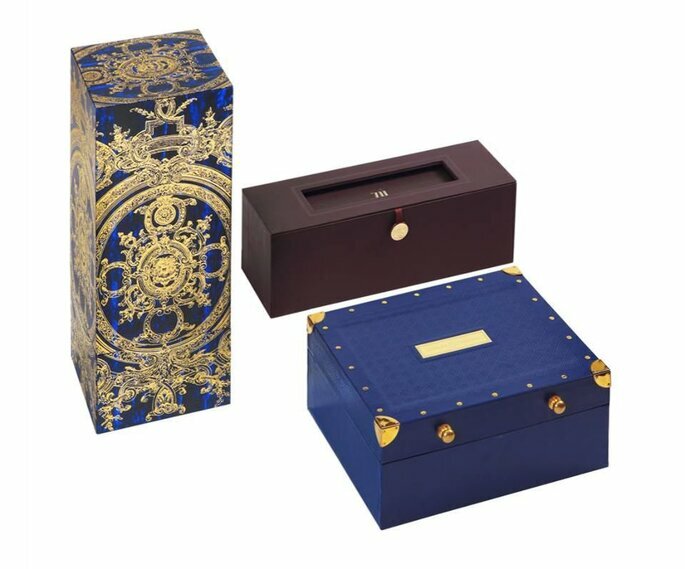 The Entertainment Design Co. is one of the world’s most formidable luxury invitation houses, recognized for its bespoke and superior handcrafted personalized stationery for the most discerning clientele from across the globe. Founded by Kapil and Sandy Khurana, EDC believes in the philosophy of crafting exquisite and desirable works of personalised art. At a time when the concept of couture invitations was a distant thought in India, today every piece of EDC carries an emboss of innovation in design, sophistication, craftsmanship and the finest materials. 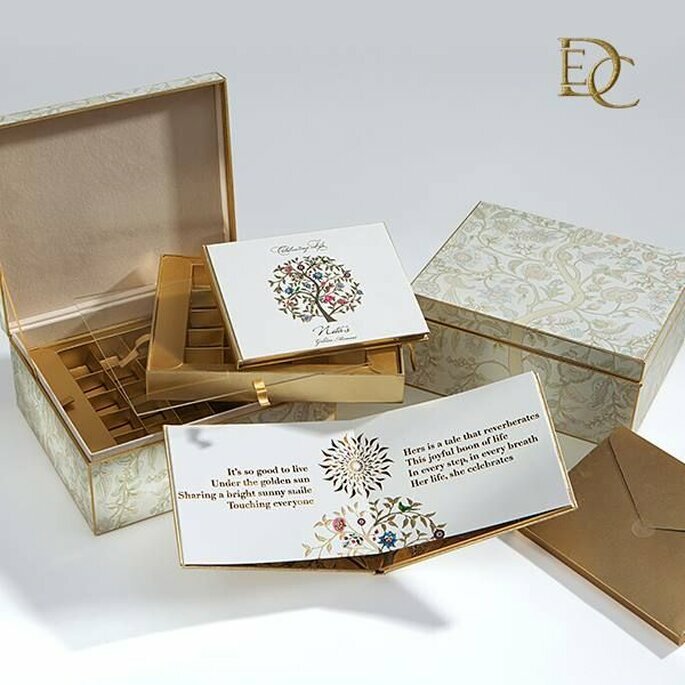 15 years on, EDC continues to push the envelope and redefine personalised invitations and stationery, with its impeccable aesthetics and superior execution. Opium invites are unique and we believe in the idea is that the invitation can be used by the guest and not thrown into the bin. 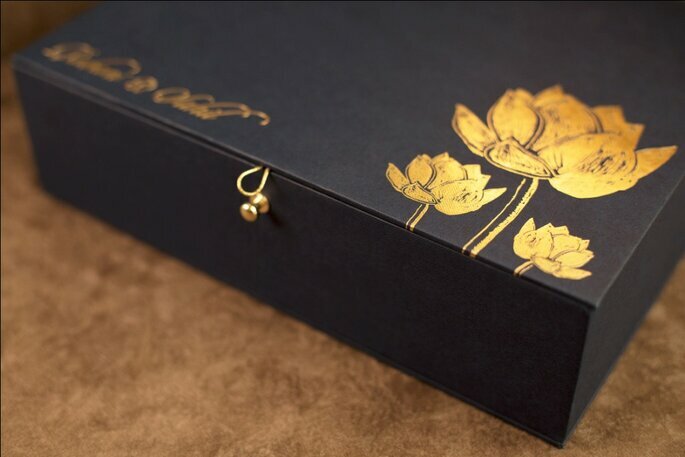 Every invite has a story to it and after use to it, Opium is a design studio which deals in first of its kind, customised, premium, unique metal cards and boxes in Delhi. Our line of luxurious and unique invitation cards have been developed for those who want to be seen as different and class-apart! Opium cards are highly design oriented, each with a beautiful story to tell, and a unique way to use after it serves its purpose. Opium cards and gifts become memoirs and will never be thrown away but they double up as invite and will be treasured as a gift.